Many do not know much about co-working spaces, which has caused many misconceptions to occur. Here, we clear the air. Due to the fact that co-working spaces are rented on a per-person basis, many are of the opinion that it is only for individual freelancers. This, coupled with the fact that many co-working spaces place emphasis the community aspect has caused this misconception to be further propagated. However, co-working is not only for individuals that work alone. Now more than ever, companies are choosing to move into co-working space. 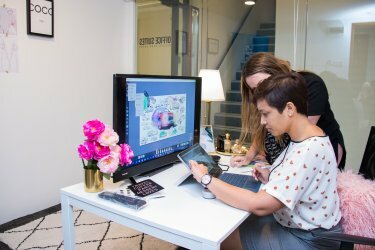 Large companies like Microsoft and IBM have started moving employees into co-working spaces across the globe. In fact, many other companies have started shifting into them. Many do not know much at all about co-working spaces. They have the perception that co-working spaces merely provide a single desk and chair for its occupants. Some other spaces might throw in free coffee. So most think that co-working spaces are only rudimentary temporary offices. Nevertheless, this is not the truth. Co-working spaces provide much more than just a rudimentary desk and chair. Co-working spaces provide a work experience that could not be found anywhere else. 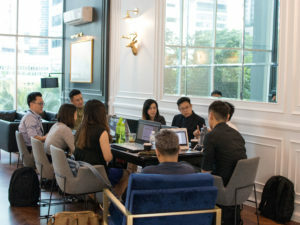 In fact, this work experience is so unique that studies link co-working spaces with increased productivity. Moreover, co-working spaces provide networking opportunities that you will not be able obtain anywhere else. These opportunities present itself in the form of events organised by the space, and organic meetings that happen in the space itself. Not knowing what a co-working space is, many think that co-working confines you to a single desk and chair. Entire companies choose to work out of co-working spaces because it allows them an abundance of work space. 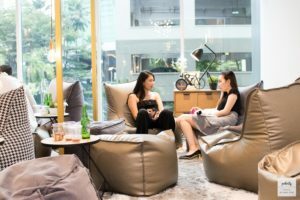 Co-working spaces allows companies to have the liberty to spread themselves about the entire expanse of the co-working space. Workers can also choose to switch spots whenever they choose. They can work from a different spot every day or even every hour if they choose to do so. Co-working allows much freedom in term of the use of its space. There are many more myths and misconceptions about serviced offices and co-working spaces. If you would like any of your questions and confusions to be resolved, please do not hesitate to contact us through this link or through the live chat function.